Carrie welcomes Allie Kieffer back to the show! They discuss her goals and expectations for this weekend’s TCS New York City Marathon as well as her recent move back out to Boulder, CO.
Allie graduated from Wake Forest University with a B.A. in Psychology in June 2009. At Wake Forest, she competed on the cross country and track & field teams for four years and earned All-ACC honors in cross country in 2008 and was also selected as the ACC Runner of the Week in 2008. In 2012, Allie qualified for the US Olympic Trials in the 10,000m, but was unable to compete due to injury. In 2017, Allie placed 5th at the TCS NYCM and taking 2nd place American honors. 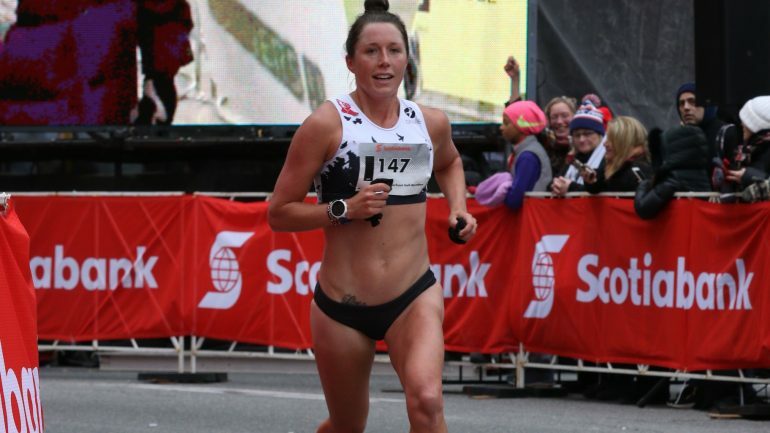 In 2018 she signed a professional contract with Oiselle and won the Doha, NYRR Staten Island, and Toronto Half Marathons along with placing 4th at the USATF 10K Championships.